A Traumatic Brain Injury (TBI) usually results from a violent blow or jolt to the head or a penetrating head injury that disrupts the normal function of the brain. A common mild brain injury is often referred to as a concussion. 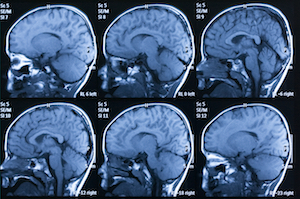 Brain injuries are often permanent and disabling. According to the ByYourSide.org, a TBI can cause a wide range of functional changes—short or long-term—affecting thinking, language, learning, emotions, behavior and/or sensation. Memory loss, difficulty with judgment and recognition of limitations, anxiety and/or depression, loss of social networking, feelings of isolation, slowness or difficulty with speech, decreased physical coordination, decreased anger management, decreased safety awareness, and difficulty initiating, planning and completing tasks. All of these significant injuries can be the consequences of TBI. In some instances, TBI’s can cause long-term complications leading to attempted suicide or death. According to the Centers for Disease Control (CDC) each year an estimated 1.5 million Americans sustain a TBI. Approximately 138 people die each day from injuries of a Traumatic Brain Injury. That’s more than 50,000 deaths attributed to TBIs. While 230,000 people are hospitalized and do not suffer a life threatening TBI, 80-90,000 do experience long-term disability. While falls are the leading cause of TBI’s, motor vehicle crashes and traffic related accidents result in the largest percentage of TBI deaths. In Florida, the number of people living with a TBI is approximately 210,000. Each year 97,000 people sustain a TBI resulting in 3,800 deaths, 18,600 hospitalizations and 74,000 emergency room (ER) visits. The CDC reports that for people over 65 years of age, falls were the leading cause of TBI death. For children and young adults (5-24 years old) it was motor vehicle accidents, and for children (newborn to 4 years old) assaults (such as Shaken Baby Syndrome) were leading cause of TBI deaths. The leading causes of non-fatal TBIs were falls (newborn to 14 and over 45 years old) and motor vehicle crashes (15-44 years old) and assaults (15-24 year olds). Attorney Tami Wolfe understands that brain injuries and TBI’s are often devastating to the victim and their loved ones. Care and recovery can be long and expensive, not to mention the impact of and loss of quality of life. Tami knows the importance of ensuring that a victim is fully and fairly compensated to cover current and future medical needs and personal care. She represents clients throughout South Florida including Davie, Fort Lauderdale, Plantation, Weston and Sunrise. If you or a loved one has suffered a brain injury or a catastrophic injury as a result of someone else’s negligence, contact Tami Wolfe online or call her at (954) 791-0477 for a FREE consultation.